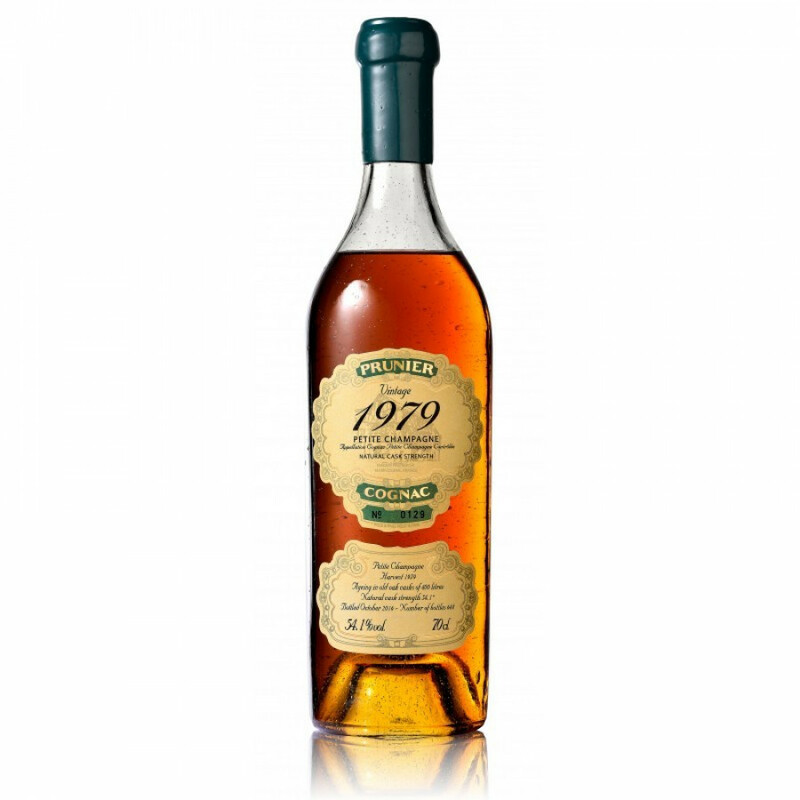 The Prunier 1979 Vintage Petite Champagne Cognac is a limited edition, cask-strength Cognac that will appeal to those who enjoy a powerful tipple. It's strong, at 54.1° it certainly packs a lot of punch, but manages to do so in a balanced, rounded, and utltimately satisfying manner. Limited to only 372 units, the Cognac was harvested in 1979 and bottled in Spring of 2006, this is made solely of eaux-de-vie from the mixed, chalky soils of the Petite Champagne terroir. It's a true connoiseur's Cognac - one that should be enjoyed neat or with a couple of rocks of ice. It delights by taking the taster on a true sensory journey - from the first tantalizing aromas, through the ever-evolving palate, to the finale that is a crescendo of aftertaste. One to bring out on special occasions, or would make the ideal gift for the lover of fine Cognacs.